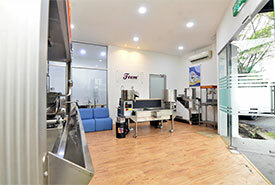 Defeem Sdn Bhd is a premium food supplier company formed to supply raw materials and ingredients to enhance the quality of life of our customers. On the cutting edge of food sciences, we set the standards for quality, innovation and value in the industry. At Defeem, we continuously work to improve food quality for people of all ages. Through innovation, research and development we endeavor to meet the food material challenges of today and anticipate those of tomorrow. 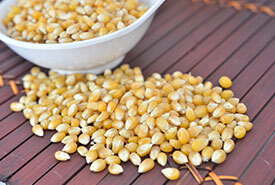 Over the years, we have grown into one of the country’s leading supplier of food ingredients. Our range of products includes both imported and local leading raw materials, providing the solution of ingredients to address our customer’s issues. Defeem Sdn Bhd has been a pioneer in introducing product and research tools into the region by implementing products from overseas manufacturers. Defeem Sdn Bhd was appointed as the sole distributor of one of the leading popcorn kernel plantations in South Africa in 2013 to supply and distribute their corn kernels with our registered house brand FEEM®. 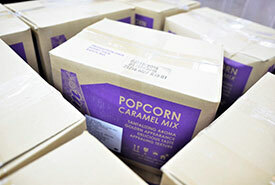 The company also owns the registered trademark FEEM®, a brand well-known for its full range of popcorn products. Our major markets include cinema concessions, local confectioneries, wholesalers, retails, hypermarkets, and so on. We also supply other food materials such as goat milk and colostrum powder.